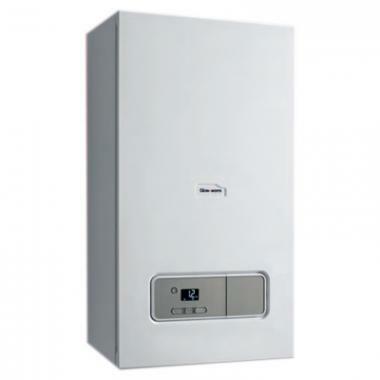 Glow-worm’s Energy Regular gas boiler is a condensing and wall mounted unit with a variety of features and benefits. This is a Regular boiler which has been designed to heat your central heating system directly and also produce hot water for your cylinder. The boiler will need to be fed by a cold water storage cistern located in the attic so it may not be suitable for smaller homes where space is limited. It is a highly efficient boiler with an Erp efficiency rating of B (89.2%) so it should save you money on your energy bills. This boiler has an output rating of 25kW making it perfect for smaller properties which do not have a high demand for heating or hot water e.g. homes with one bathroom only. It’s also available in a range of different outputs so that you can be sure there'll be a unit in this range to suit your needs: 12kW, 15kW, 18kW and 30kW. This boiler is compact in size and will fit into a standard sized cupboard so you can keep it hidden away with ease. It has been designed with ease of use and low maintenance in mind and has a rear flue option to help with flexible installation. It features a 7 year warranty so you can have peace of mind that you have bought a highly reliable unit that won't let you down.